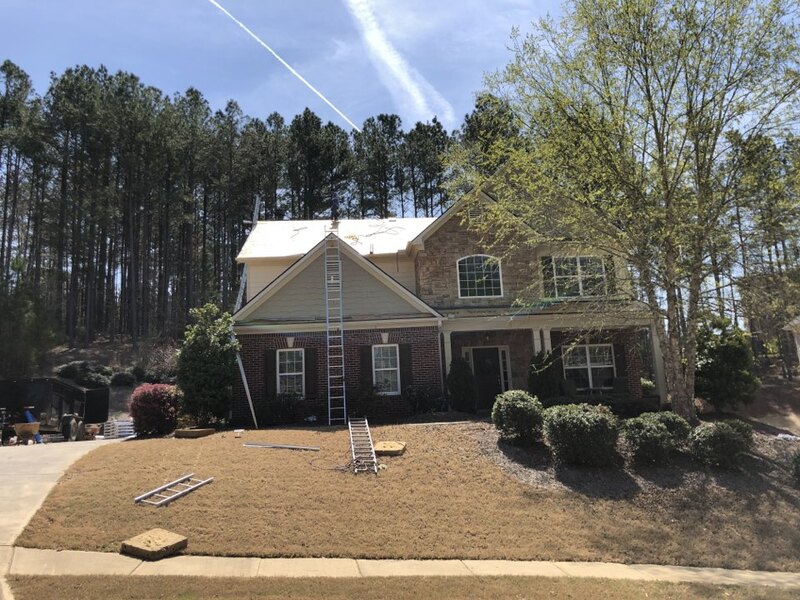 Infinity Roofing Contractors is one of the leading roofing contractors in Acworth, Kennesaw, Alpharetta and other suburban Atlanta communities. For more than a decade, we have offered Georgia homeowners the highest level of quality craftsmanship while delivering an outstanding customer experience. The peace of mind you’ll enjoy when working with Infinity can’t be overstated. Here at Infinity Roofing Contractors, we aim to exceed our customers’ expectations. Whether we are inspecting or replacing your roof, you can expect excellent work. We are committed to working closely with our customers to ensure that each roofing project is done promptly and done right, so it will provide maximum performance. As your trusted local roofing contractor, we will help and guide you through the process, from the estimate to the completion of the project. The end result will always be a high-quality, long-lasting roofing system. 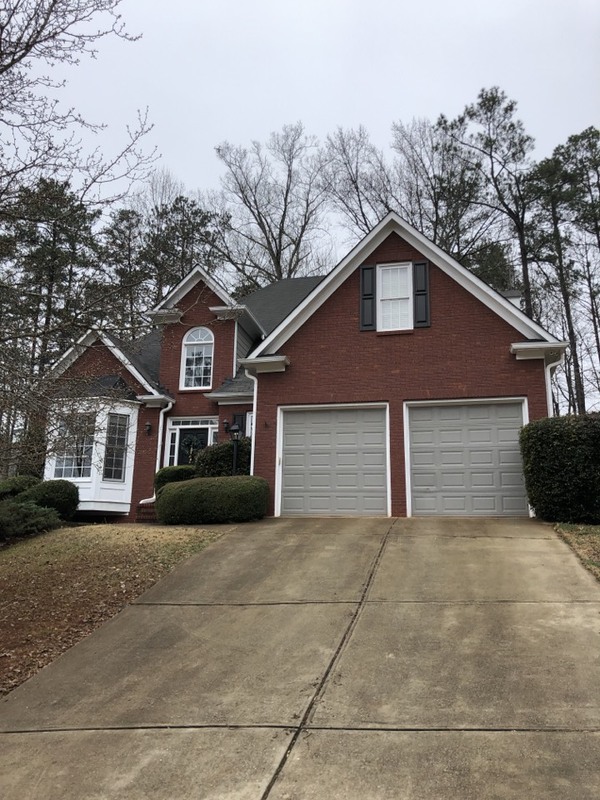 Whether you need a reputable roofer to assist with an insurance claim or you want to bring more curb appeal to your home with a new roof, give Infinity Roofing Contractors a call today at (678) 903-3170. You can also fill out our contact form to request a quote. In Woodstock Georgia today. Infinity roofing is hard at work making sure we take advantage of this perfect roofing installation weather! It's a beautiful morning in Bentwater Country Club as we assist a referred homeowner in planning their next full roof replacement. Infinity Roofing is the best roofer near you! Don't believe me? Just check out what our previous clients have been saying about us for years! Infinity roofing was in Powder Springs Georgia today and it was a hot one! Even with the heat, it was a perfect day to install a GAF System. 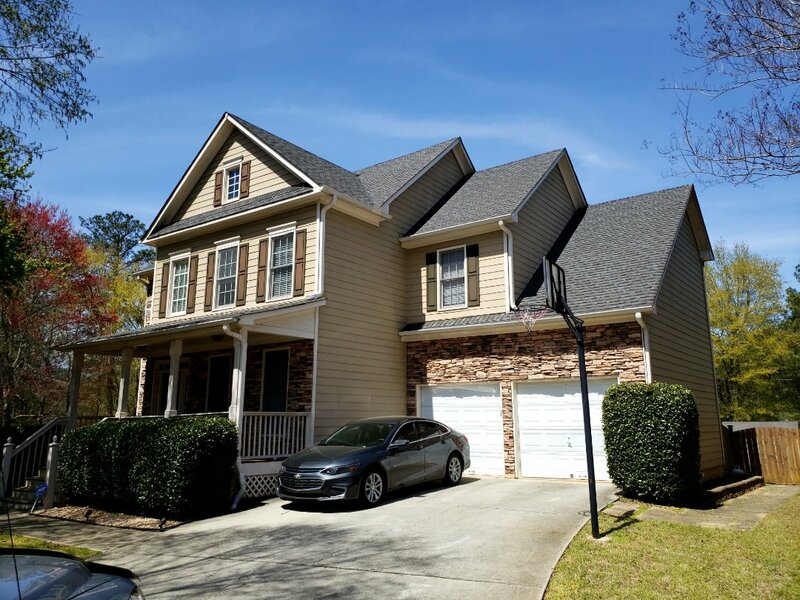 This roof with last through many hot Georgia summers while still holding its beautiful and eye-catching look! Last night brought some serious storms with high winds and lots lightning. A Kennesaw family was in need of an emergency tarp after lightning blew a hole in their roof. 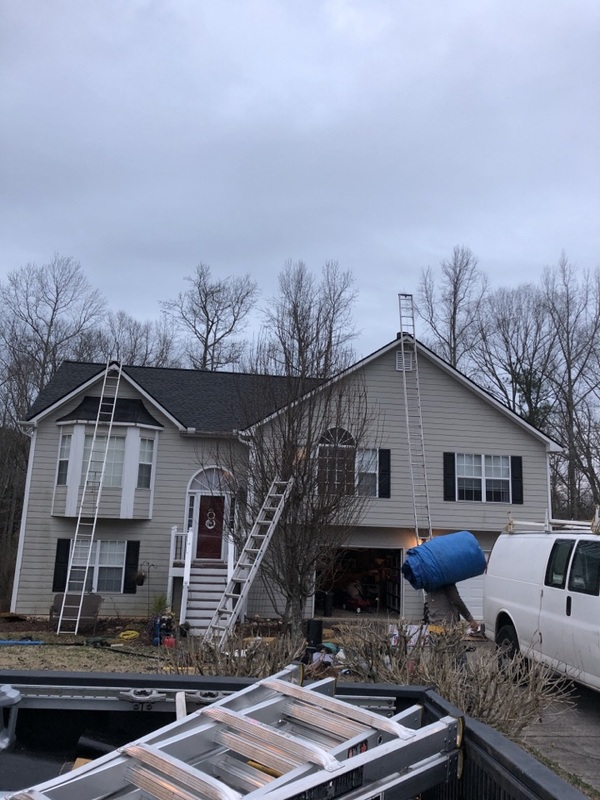 Infinity Roofing Contractors and team were able to assist, after every other contractor the insurance company told them to call told them they were going to have to wait. 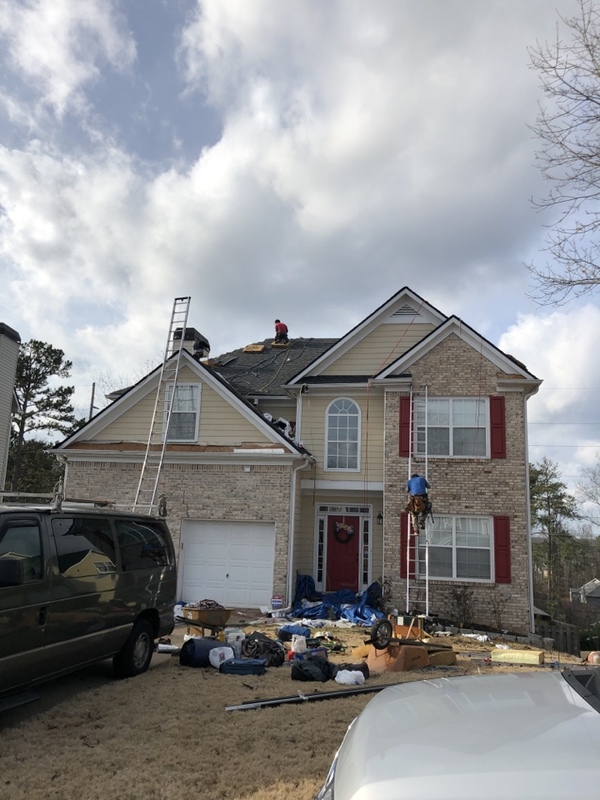 Infinity Roofing Contractors will assist local Kennesaw, Acworth, Dallas and powder springs residents with insurance claims. Give us a call! 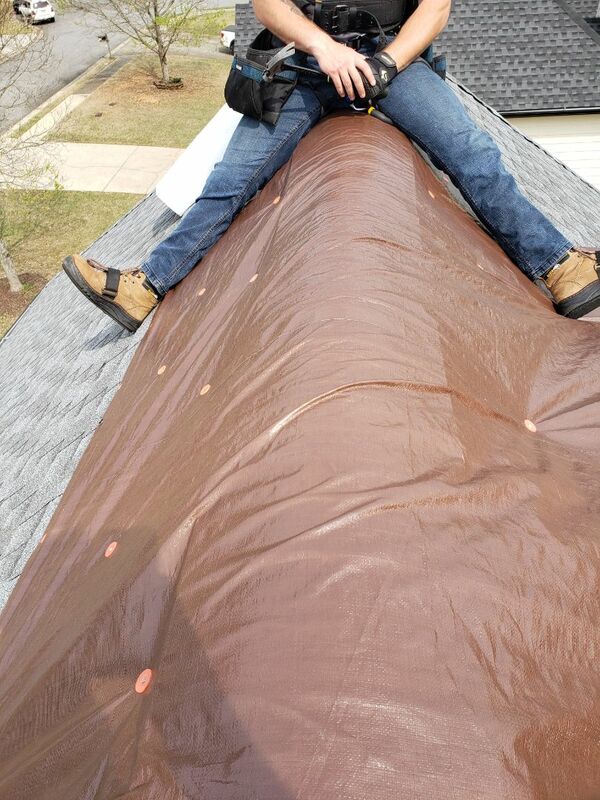 Infinity roofing does business in many areas around Atlanta but Acworth Georgia is one of our busiest locations! On this home, infinity roofing contractors has the privilege to install a breathtaking 50 year GAF system! The color of choice? The always astonishing, Timberline HD Charcoal Gray! 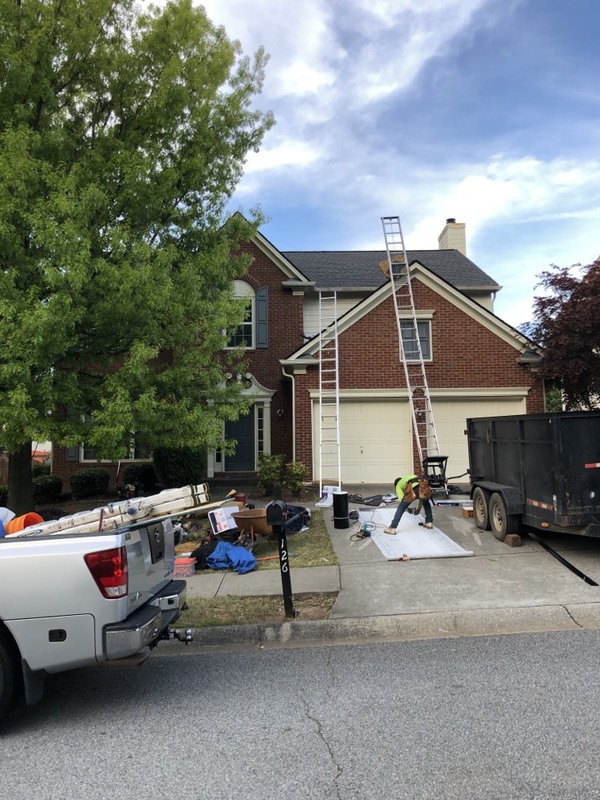 Today infinity roofing contractors is in Acworth Georgia installing a 50 year GAF barkwood shingle. This homeowner picked a fantastic color to complement the trim and stone work on the home! I met a family that was in need of a roofing contractor that would provide excellent service, and a warranty that was top notch before listing their home. Today, we are walking the property in preparation for installation of their new, GAF Timberline 50 yr roofing system! 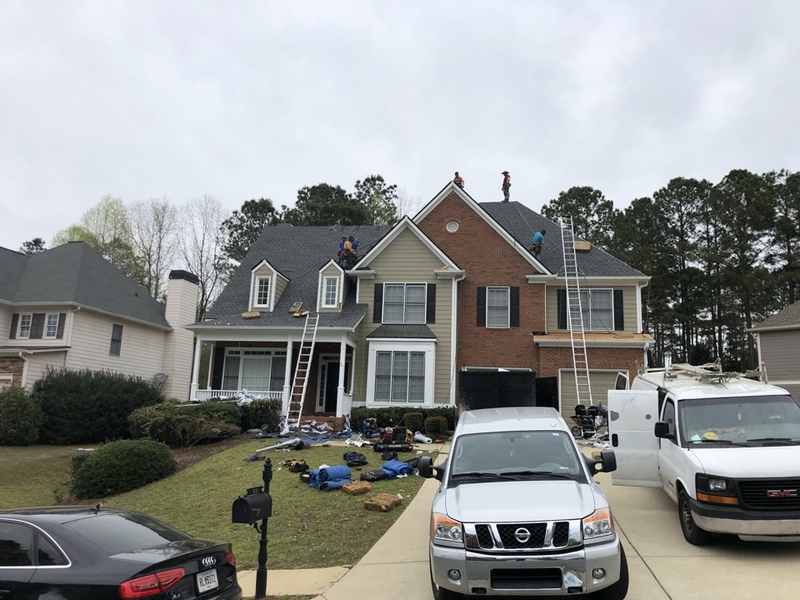 Because they choose Infinity Roofing, (a GAF MASTER ELITE CERTIFIED CONTRACTOR)... they will receive an industry leading warranty and a beautiful roof... Sure to add value to their home when sell it next month! 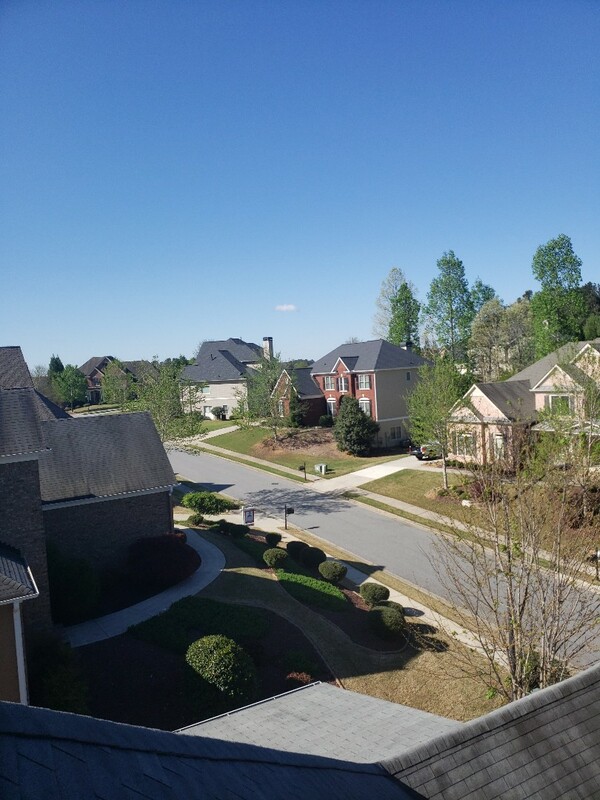 On this beautiful day, Infinity roofing contractors is in Dallas Georgia. 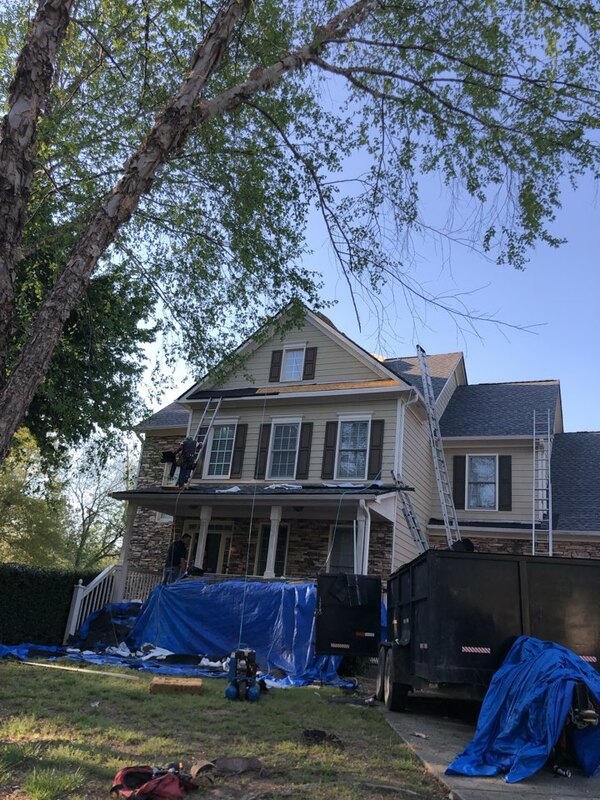 Now that we have a little less rain and a little more sunshine, infinity roofing is hard at work making sure this homeowner gets a breathtaking roof, with the minor, underlying detail. Insuring that it doesn’t just look astonishing but can withstand the unstable weather of Georgia! 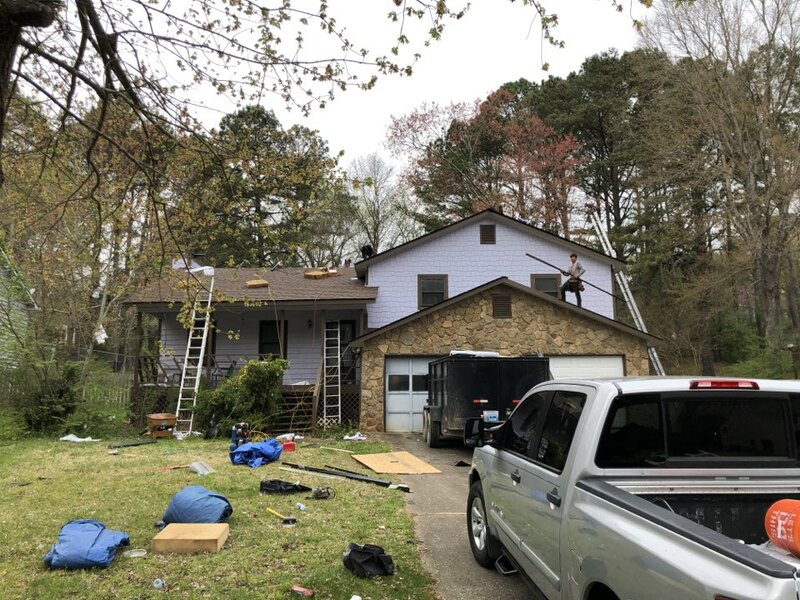 This morning we got a call from this homeowner in Marietta looking for a GAF Master Elite Certified roofer to help them get their home ready to sell. We will be installing a new GAF Timberline lifetime roofing system on this property next week! 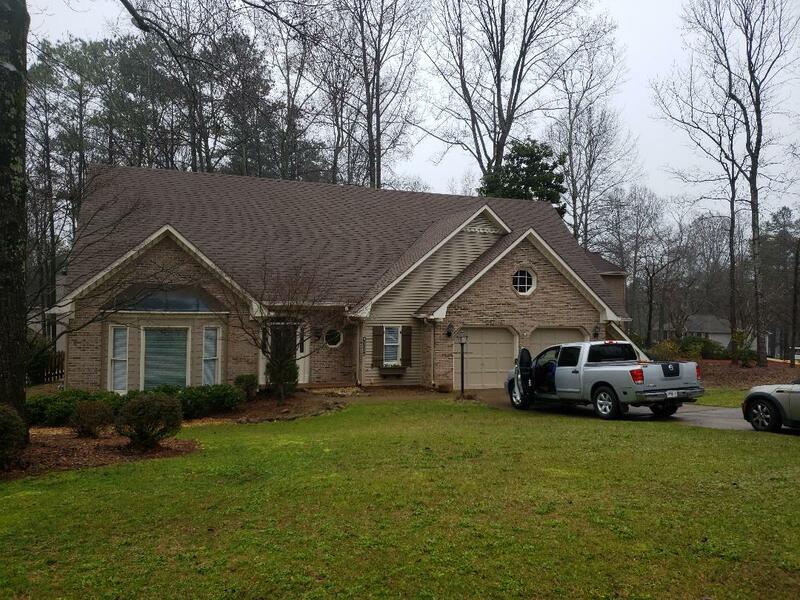 Infinity roofing contractors is in powder springs on this cold and rainy day. Customer called because they have noticed a few shingles falling off there home. Infinity roof is making sure we address the problems and making sure all there roofing needs are met. Just finished installing a GAF system on this home in Dallas Georgia. It was cold and windy but regardless the GAF roofing systems always looks astonishing after they are installed! Infinity roofing contractors loves to make the community a more beautiful and the people in them content with there homes. Rain or shine infinity roofing contractors is always striving to help a customer. We just finished putting on a beautiful GAF silver pledge system, and man does this house look amazing! infinity roofing contractors is making Georgia homes more gorgeous one roof at a time. Infinity Roofing Contractors is in kennesaw today! We are happy to be helping a customer that was having some major issues with there Atlas chalet shingles. We are installing a GAF timberline HD 50 year lifetime shingle!